Imagine a car engine with so much torque that it needs a final drive ratio of only 1.5:1. A car engine that at a road speed of 205 km/h is spinning at only 630 rpm. An engine that can be permanently connected to the wheels – no clutch or auto trans needed. An engine that can propel a car smoothly and effortlessly in a perfectly linear rush of power from stationary to maximum speed, all just by opening the throttle. An engine that can burn pretty well any combustible liquid or gaseous fuel without engine-destroying detonation and with potentially very low emissions. It sounds a dream powerplant – but it existed and was being widely used in cars 80 years ago. Steam-powered cars could do all these things – and also set the 1906 outright land speed record. 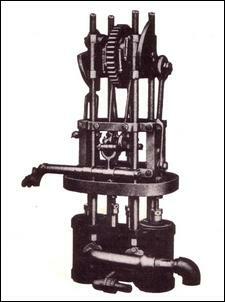 And potential modern developments of automotive steam power? They include design approaches that use triple rotary Mazda engines, steam turbines, and Lysholm screw-type superchargers run backwards! Because of the absolute overwhelming technical dominance of internal combustion – petrol and diesel – engines, people tend to view other forms of automotive propulsion as slightly amusing oddities. The gas turbine engine – used in prototypes by Rover and Chrysler - came and went (see The Chrysler Turbine Car), while it’s taken until very recently for hybrid petrol/electric cars to reappear. (Reappear? Yep, there were hybrid petrol/electric cars available 100 years ago!) And steam power? It immediately brings to mind images of old railway locomotives and lumbering steam-rollers. But nearly all current electrical power stations use steam power – the water may be boiled by nuclear power, or the burning of coal or natural gas, but it’s steam that does the work of turning the turbines that in turn rotate the alternators. So in some respects, steam power is as current as possible. The boilers of these steam cars were not constructed on lines similar to a railway locomotive. Rather than having a large vessel filled with water through which tubes carrying the hot gasses from the fire passed, the approach was reversed and water passed through the tubes. A very long coil of tube carried the water and the hot gasses from the burning fuel enveloped the tube. Two approaches were used: in some cases the tubes were filled with water which thermo-syphoned through the tubes, with steam collecting in a sperate receptacle at the top of the system, and in other cases the water passed only once through the tubing, turning to steam as it did so. These latter designs are called ‘flash steam’ (as in, the water flashes into steam) and allowed very quick start-up times. In fact, from cold, flash-steam boilers could build pressure in only 30 seconds or so. However, the downside of a flash boiler design was a lack of ‘reserve power’; in a flash boiler the steam wasn’t stored – it was used as quickly as it was produced and so if more was needed, more had to be instantly produced. Burners were surprisingly sophisticated. Often rather like large Primus-style camping stoves, they used forced draught (provided by a fan run by an electric motor), venturis to draw through the fuel and had automatic control. The automatic control was on/off: as steam pressure fell, the burner was switched on and stayed on until steam pressure reached the appropriate level whereupon the burner was extinguished. Obviously, when no steam was being used, the burner stayed off. A pilot burner was used in some cars, while others used a spark plug and ignition coil to light the mixture. The water feed was also automated; in the case of flash boilers, this had to be regulated very precisely. 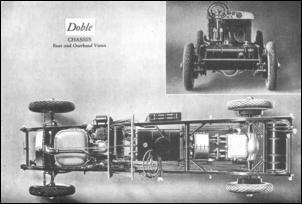 In nearly all cars, the engine was mounted at the rear of the car under the floor, being mechanically integrated with the rear axle. (One wonders about unsprung weight!) 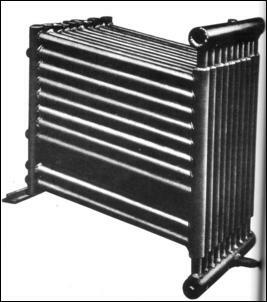 The boiler was located at the front of the car and a condenser (which turned the steam back into water after it had done its work) took the place of the radiator. Tanks for water (because some water was inevitably lost), burner fuel, pilot light fuel and lubricating oil were distributed around the car. Pumps were also needed for the fuel, feed water and oil. In the days when internal combustion engine cars had controls for ignition timing on the steering wheel (and it was a control that needed a lot of adjustment! ), and when starting handles, gear levers, clutch pedals, lubrication reservoirs and the like all needed attention, the steam car was regarded by its makers as being simple to operate. However, even going on the contemporary instructions provided by these manufacturers, the start-up and maintenance procedures look complex. It was also apparently impossible to prevent the water freezing in sub-zero temperatures – no anti-freeze existed that could be used in the application. 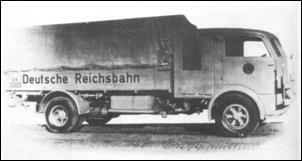 The first commercial steam cars appeared around 1900 and in Germany steam trucks were still being built in the late 1930s. However, post-WWII, no new steam vehicles have been successfully commercially developed. Since then, steam cars have been the province only of amateur experimenters – despite some university-backed research projects and a few half-hearted projects by major manufacturers that took place when emission legislation was first being introduced in the US. But what could be achieved with modern technology – especially with fully electronic control systems and current metallurgy? 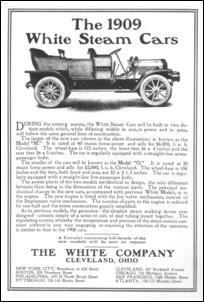 In an interesting 2002 paper by James D Crank of Doble Steam Motors Corporation (Doble was one of the earliest steam car manufacturers), the idea of a current steam car is explored. 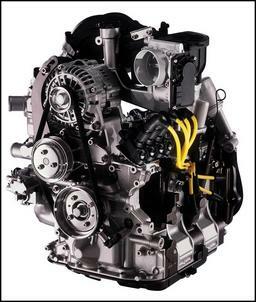 Most radical of the changes is the abandonment of the reciprocating engine. 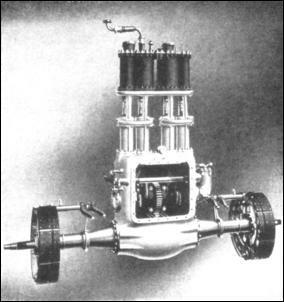 Despite being a favourite of steam car enthusiasts, and possessing the high-torque/low rpm characteristics that allowed it to be permanently geared to the drive wheels, a reciprocating steam engine has problems in packaging (it needs to use large cylinders), thermal disadvantages (the heat lost from the cylinders reduces the work able to be done on the pistons by the steam), and lubrication (oil is added to the steam but this then coats the inside of the condenser and boiler tubes, reducing efficiency, and the oil ends up in the water tank). An alternative is the steam turbine. 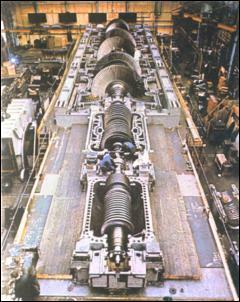 As mentioned earlier, steam turbines are currently very widely used – not only in power stations, but in ships and nuclear submarines. 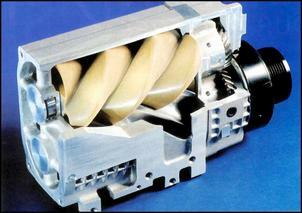 However, a turbine is a high speed device and so requires a reduction gearbox before it can drive the wheels. Furthermore, a turbine is most efficient at only one speed, so in a car application would require a multi-stage approach. 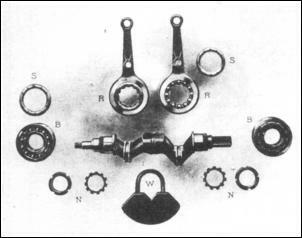 But the availability of continuously variable transmissions (CVTs) and the fact that a turbine requires no internal lubrication are positives. The Wankel rotary engine is another possible candidate. The most practical approach would be the modification of a Mazda twin or triple rotor design – in the case of the triple rotor, the second and third chambers could be used in parallel as low pressure stages. The addition of a steam inlet valve would be needed, and there are likely to be problems associated with the internal temperatures. (Superheated steam in the cars of the 1930s used to reach very high temperatures – there are records of the cylinders glowing a dull red when the steam was a bit hotter than it should have been!). The replacement of the alloy rotor housings for cast iron would then be a possible requirement, as would the use of thermal barriers within the engine. However, the Mazda rotary is an existing engine that is compact and well developed. The third alternative is the use of a Lysholm screw-type compressor. These compressors (used as superchargers on cars including the Mazda Miller Cycle engine and some Mercedes models) have internal compression. If, rather than producing air under pressure, steam under pressure is fed to them, this compression becomes expansion, and work is done. Over the other possible engines, the Lysholm expander has no internal mixing of hot and cold – hot steam comes in one end and comes out the other end cold. Furthermore, it doesn’t need a valve mechanism other than a throttle, and is compact and very efficient (as high as 94 per cent). However, for maximum efficiency it requires high rotational speeds (20,000 – 30,000 rpm) and so again a high speed gearbox becomes a requirement. Because of their high combustion pressures, internal combustion engines produce lots of oxides of nitrogen emissions. On the other hand, an external combustion engine – like a steam engine – burns its fuel at atmospheric pressure and so NOx emissions are low. 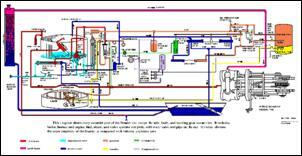 Steam engines can also burn a wide variety of fuels and with the application of modern control systems to the fuel supply, water supply, throttle opening and valve timing, the cumbersome operating procedures of the past would be completely gone. (Just look at this diagram showing the operation of an early Stanley Steamer to realise how electronic control could revolutionise the car’s architecture!) Make use of Lysholm-based engine and the whole package could be made very compact with much higher efficiencies than were previously achievable.